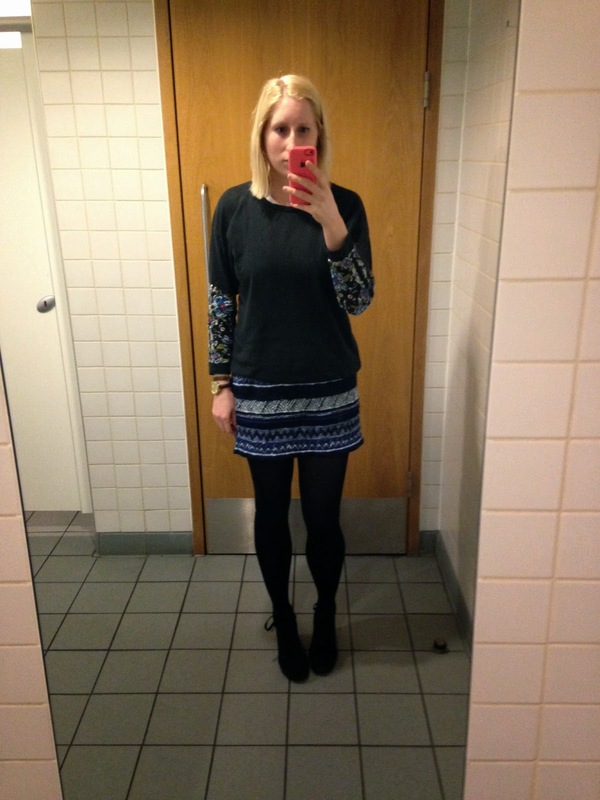 It was the big 1 year anniversary today and we also go a bit of sunshine so I wore my Zara Aztec skirt. 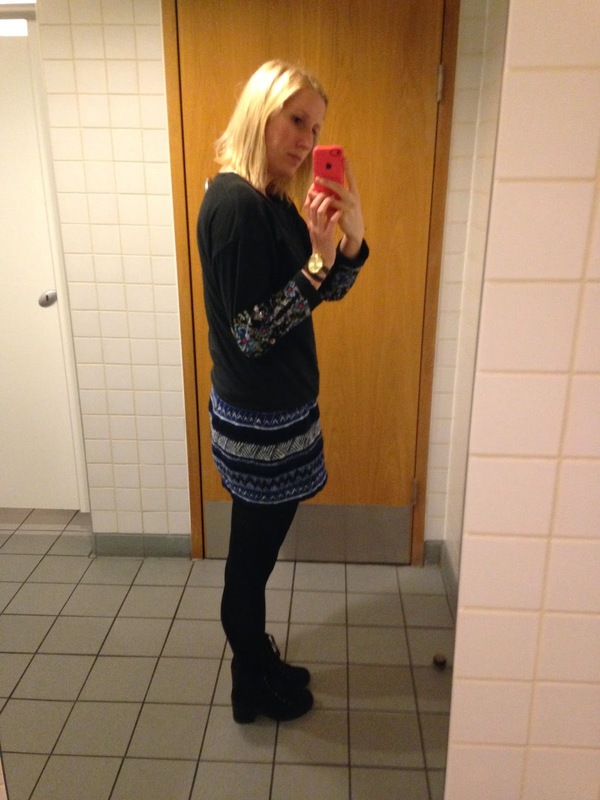 My Zara embellished jumper. Tights from M&S and my new New Look lace up boots. We also got let go at 4 for Easter so I had a very long Easter weekend it felt like it was much needed. We’ve being trying to decide where they should move the third May bank holiday day to instead of having it two weeks after, I think October is the winner so far. What do you think?